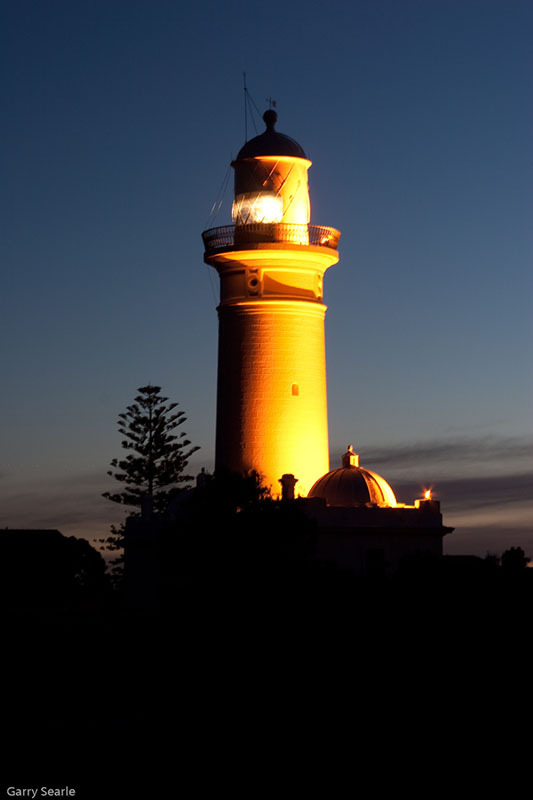 Macquarie Lighthouse | Lighthouses of Australia Inc. 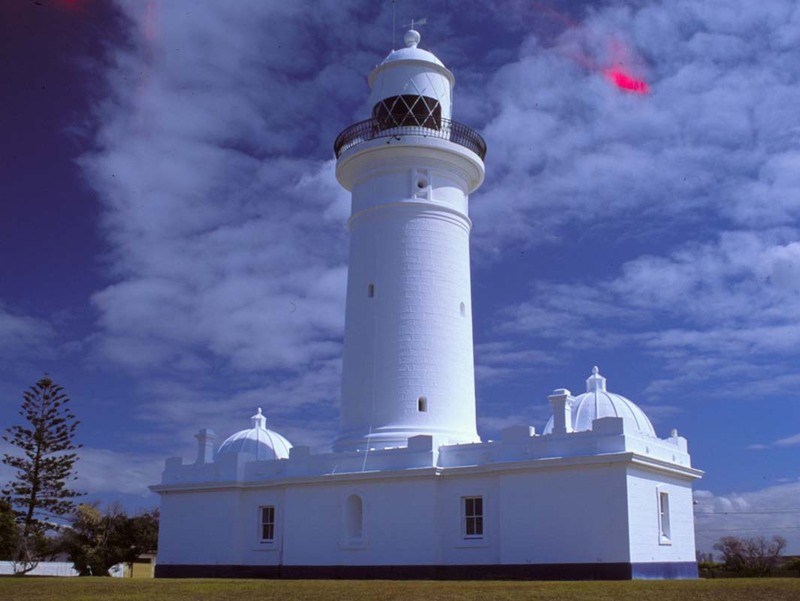 The Macquarie Lighthouse is Australia’s first and longest operating navigational light. There has been a navigational aid on this site since 1791 and a lighthouse since 1818. 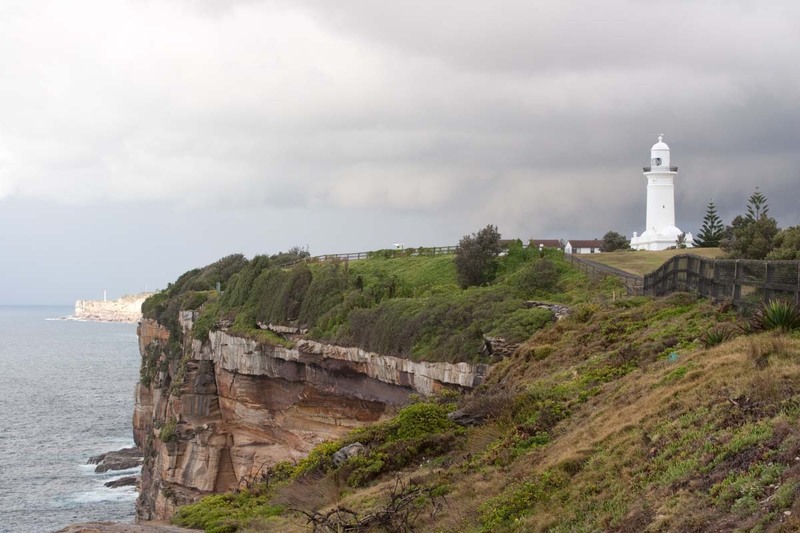 A flagstaff was erected on this site at South Head in Sydney, in 1791, just a few years of the First Fleet arriving to settle New South Wales. A wood and coal fired beacon, a basket on a tripod, was established in 1793 and was the only guiding light for the next 25 years. 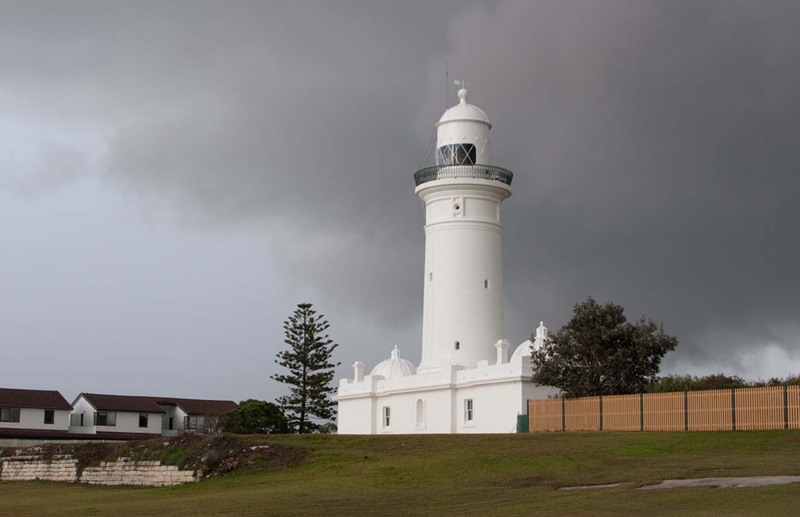 The first lighthouse structure in Australia it was started in 1816 and completed in 1818 at the command of Governor Macquarie. 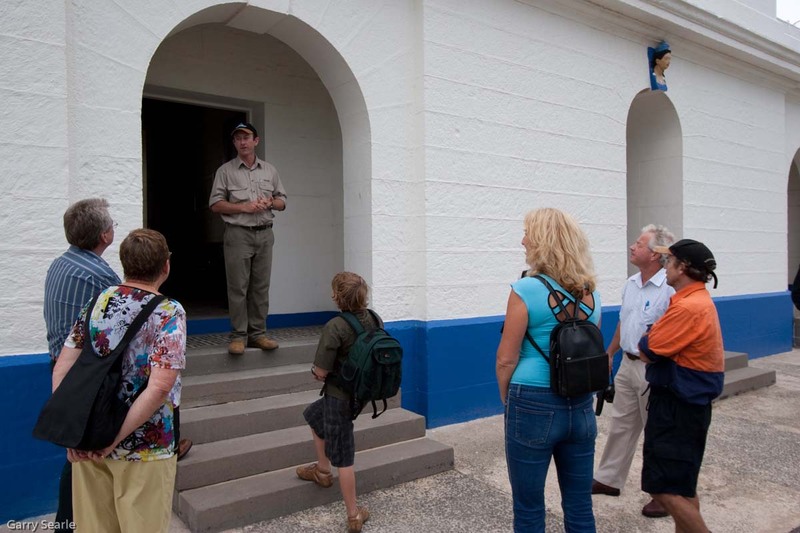 The work was undertaken by Francis Greenway, the famous convict Architect, responsible for many significant and beautiful buildings in early Sydney. Governor Macquarie was so pleased with the quality of the work that Greenway was producing, he granted him emancipation for his efforts. However, Greenway had warned that the poor quality of the sandstone being used would result in the rapid deterioration of the new tower. The new light was a revolving apparatus, powered by a clockwork mechanism, and consisting of a number of oil burning lamps set in parabolic reflectors. It flashed once every minute and was visible for 22 miles. As Greenway had predicted the tower soon began to deteriorate. Several large stones fell away as early as 1823. Large iron bands were placed around the tower to prevent further movement. The state of the tower was so parlous by 1878 that the New South Wales Government determined to build a new tower. 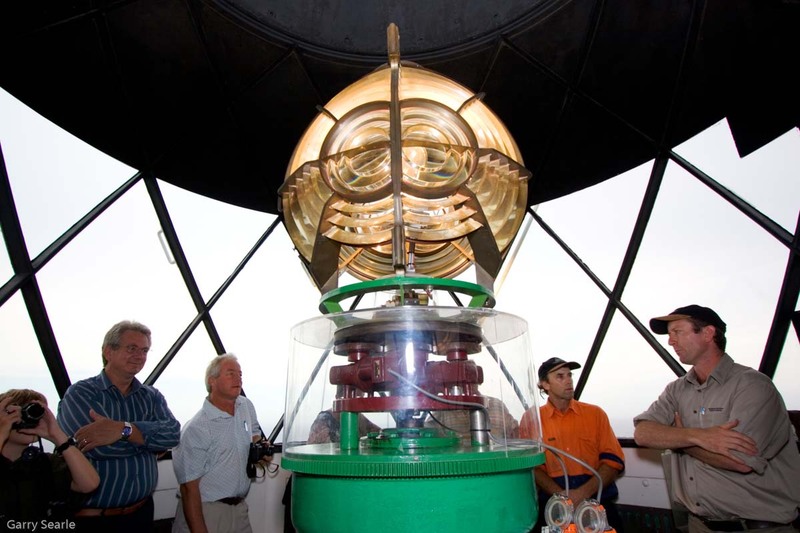 The construction of the current Macquarie Lighthouse was begun in 1881 and the light was first exhibited in 1883. It was designed by James Barnet and is a replica of the original tower, but stronger in materials and design. Barnet’s crown was larger to accommodate a large lantern room and the larger apparatus. There was also a gunmetal railing. This design was to become the trademark of many other lighthouses that Barnet designed. The new light’s giant lens was a first order sixteen sided dioptric holophotal revolving white light based on the Fresnel system, about two metres in diameter showing an eight second flash every minute, and with a range of 25 nautical miles. The lighting apparatus at the time was described by the builder, Chance Brothers, of Birmingham as the most efficient in the world. It was electric in operation, with the power being produced by two De Meritens magnetos weighing two and a half tons. These were driven by an eight-horse power “Crossley – otto cycle” silent horizontal coal gas engine at 830 rpm. Only one of the de Meritens generators is still in existence: it is owned by the Powerhouse Museum and on display at the Lighthouse. Likewise the original switchboard is owned by the museum but installed the Lighthouse. The Museum have one of the arc lamps, but it is not on display at either venue. The electric apparatus was only used in bad weather. When the weather got really bad the second magneto was brought into operation producing a light of 6,000,000 candelas, the most powerful in the world at the time. In clear weather the illuminate was provided by a gas burner. With the commencement of the new light, the lantern was removed from the old tower but the structure itself was not demolished for several years. The power generators for the new light proved too expensive to run and in 1912 the apparatus was was converted to a vaporised kerosene incandescent mantle system. With the connection of the city power supply in 1933 the light was converted back to electricity. At the time a smaller lens was installed and this is basically the mode of operation we see today. The lighthouse was fully automated in 1976.The keepers were eventually withdrawn in 1989. 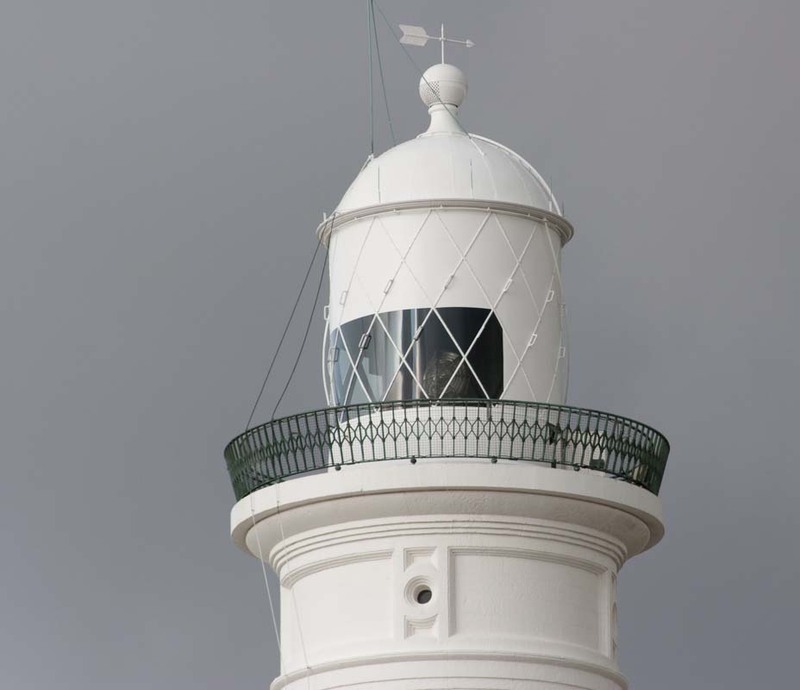 Australia’s first lighthouse keeper was Robert Watson. He was with the First Fleet as the Quartermaster on HMS Sirius and later Harbour Master at Sydney. Watson was already an old man and died within a year of his appointment. 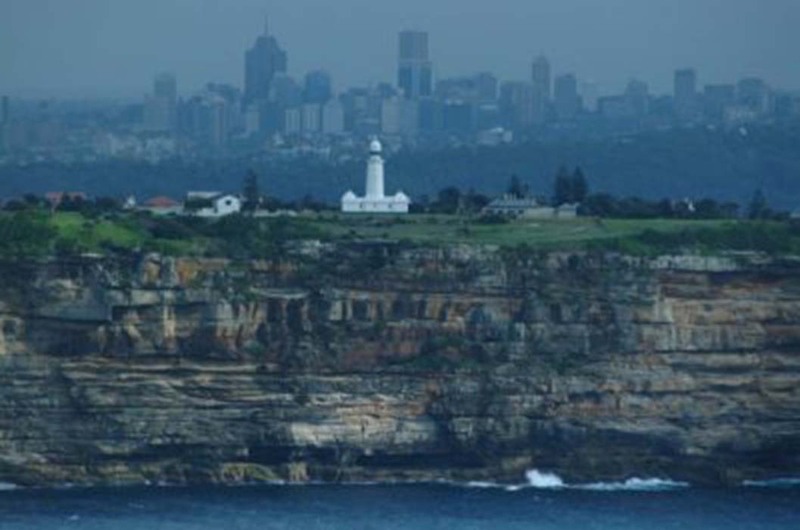 Nearby Watsons Bay was named to honour his memory. Please note, this list is far from complete so we are aware that there may be omissions. Some of the reserve has been sold off for housing, but the immediate area around the light is public open space. The future of the buildings and remainder of the reserve as it is now under the control of the Sydney Harbour Federation Trust.